Ramabhar Stupa is world-renowned and has a high religious significance as Lord Buddha was cremated here after he attained Mahaparnirvana. Tourists from all over visit the Ramabhar Stupa, Kushinagar, which has carefully treasured the loose ends of history. 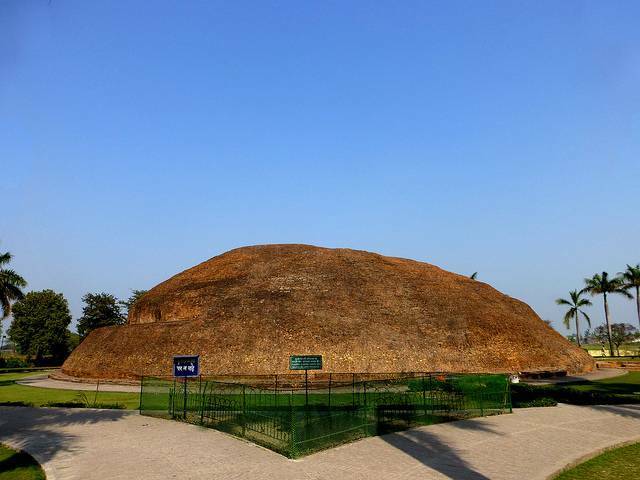 The height of the stupa is more than 50 feet high and placed on a high mound that faces the road. The Stupa was built to denote the actual cremation site.